Bu araştırmada, ortaöğretim öğrencilerinin, doğal bir öğrenme ortamı olarak çevrimiçi sosyal ağlardan yararlanma biçimleri betimlenmeye çalışılmıştır. Bu doğrultuda dokuz ortaöğretim öğrencisinin görüşleri, araştırmacılar tarafından geliştirilen yarı yapılandırılmış bir görüşme formu ile toplanmış ve içerik analizine tabi tutulmuştur. Araştırmanın sonuçlarına göre, ortaöğretim öğrencileri çevrimiçi sosyal ağlarda en çok arkadaşlarına ve öğretmenlerine sorarak öğrenmektedir. Bu ortamlarda en çok yabancı dil bilgilerini (genellikle İngilizce) artırmaktadır. Derslerle ilişkili olarak ise bu ortamları en çok ödev/projelerini sürdürmek ve sınavlara çalışmak amacıyla işe koşmaktadır. This study describes the secondary school students’ online social network activities as a natural learning environment. Accordingly, the opinions of nine high school students were collected via a semi-structured interview form, which was developed by the researchers, and content analysis was performed on the data. According to the results, the students learn most by asking their friends and teachers on social network sites. They enhance their language skills most within these media – mostly English. In terms of the courses, they use these media in order to do their homework/projects and study for the exams. çevrimiçi sosyal ağ, ortaöğretim öğrencisi, öğrenme biçimleri, çevrimiçi öğrenme topluluğu. Ainin, S., Naqshbandi, M. M., Moghavvemi, S., & Jaafar, N. I. (2015). Facebook usage, socialization and academic performance. Computers & Education, 83, 64-73. Akbari, E., Pilot, A., & Simons, R. (2015). Autonomy, competence, and relatedness in foreign language learning through facebook. Computers in Human Behavior. 48, 126-134. Bardakcı, S., Alakurt, T. ve Keser, H. (2014). Çevrimiçi öğrenme ortamında öğrenci rol ve davranışları. Hacettepe Üniversitesi Eğitim Fakültesi Dergisi, 29(1), 47-60. Boud, D., Cohen, R., & Sampson, J. (2001). Peer Learning in Higher Education: Learning from & with Each Other. Psychology Press. Boyd, D., & Ellison, N. (2008). Social networking sites: Definition, history, and scholarship. Journal of Computer-Mediated Communication. 13, 210-230. Bozhovich, E. (2009). Zone of proximal development the diagnostic capabilities and limitations of ındirect collaboration. Journal of Russian and East European Pyschology. 47(6), 48-69. Buzzetto-More, N. A. (2012). Social networking in undergraduate education. 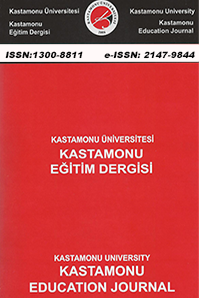 Interdisciplinary Journal of Information, Knowledge, and Management , 63-90. Büyüköztürk, Ş., Çakmak, E., Akgün, Ö., Karadeniz, Ş., & Demirel, F. (2012). Bilimsel Araştırma Yöntemleri. Ankara: Pegem Akademi. DeAndrea, D. C., Ellison, N. B., LaRose, R., Steinfield, C., & Fiore, A. (2012). Serious social media: On the use of social media for improving students' adjustment to college. The Internet and higher education, 15(1), 15-23. Durak, G., Çankaya, S., & Yünkül, E. (2015). Eğitimde eğitsel sosyal ağ sitelerinin kullanımı: edmodo örneği. Dumlupınar Üniversitesi Sosyal Bilimler Dergisi, 41. Ekici, M., & Kıyıcı, M. (2012). Sosyal ağların eğitim bağlamında kullanımı. Uşak Üniversitesi Sosyal Bilimler Dergisi. 5(2), 156-167. Erjavec, K. (2013). Informal learning through Facebook among Slovenian pupils. Comunicar, 21(41), 117-126. Gao, F., Luo, T., & Zhang, K. (2012). Tweeting for learning: A critical analysis of research on microblogging in education published in 2008–2011. British Journal of Educational Technology, 43(5), 783-801. Green, T., & Bailey, B. (2010). Academic uses of facebook: Endless possibilities or endless perils? TechTrends. 54(3), 20-23. Hamid, S., Waycott, J., Kurnia, S., & Chang, S. (2015). Understanding students' perceptions of the benefits of online social networking use for teaching and learning. The Internet and Higher Education, 26, 1-9. Harrison, R., & Thomas, M. (2009). Identity in online communities: Social networking sites and language learning. International Journal of Emerging Technologies & Society, 7(2), 109-124. Hofstra, B., Corten, R., & Buskens, V. (2015). Learning in social networks: Selecting profitable choices among alternatives of uncertain profitability in various networks. Social Networks. 43, 100-112. Işık, F. (2013). Comparison of the use of social network in education between north and south cyprus. Social and Behavioral Sciences. 103, 210-219. Jaramillo, J. (1996). Vygotsky's sociocultural theory and contributions to the development of constructivist curricula. Education. 117(1), 133-140. Jonassen, D. H. (1999). Designing Constructivist Learning Environments. In C. M. Reigeluth (Ed.). Instructional-design theories and models. A new paradigm of instructional theory (V. II) (pp.215-239)Mahwah NJ, London: Lawrence Erlbaum. Jonassen, D. H., Peck, K. L., & Wilson, B. G. (1999). Learning with Technology: A Constructivist Perspective. Upper Saddle River: Prentice Hall. Jonassen, D., & Rohrer-Murphy, L. (1999). Activity theory as a framework for designing constructivist learning environments. Educational Technology Research and Development. 47(1), 61-79. Kaplan, A., & Haenlein, M. (2010). Users of the world, unite! The challenges and opportunities of Social Media. Business Horizons, 53, 59-68. Kio, S. L., & Negreiros, J. (2013). Facebook as an informal learning space channel: the sao jose, macao cases. In Learning And Teaching in Computing and Engineering, 70-76. Kreijns, K. (2004). Sociable CSCL environments. Social affordances, sociability, and social presence. Maastricht: Datawyse boek- en grafische producties. Labus, A., Despotovic-Zrakic, M., Radenkovic, B,. Bogdanovic, Z., & Radenkovict, M. (2015). Enhancing formal e- learning with edutainment on social networks. Journal of Computer Assisted Learning, 31(6), 592-605. Lin, C., Warschauer, M., & Blake, R. (2016). Language learning through social networks: Perceptions and reality. Language Learning & Technology, 20(1), 124-147. Maloney, E. (2007). What Web 2.0 can teach us about learning. Chronicle of Higher Education, 53(18), B26. Marmaros, D., & Sacerdote, B. (2002). Peer and social networks in job search. European Economic Review, 870-879. Marques, A. M., Krejci, R., Siqueira, S. W., Pimentel, M., & Braz, M. H. (2013). Structuring the discourse on social networks for learning: Case studies on blogs and microblogs. Computers in Human Behavior. 29(2), 395–400. Mata-Rivera, F., Torres-Ruiz, M., Guzmán, G., Moreno-Ibarra, M., & Quintero, R. (2015). A collaborative learning approach for geographic information retrieval based on social networks. Computers in Human Behavior, 51, 829-842. Mazer, J., Murphy, R., & Simonds, C. (2007). I'll see you on "facebook": The effects of computer-mediated teacher self-disclosure on student motivation, affective learning, and classroom climate. Communication Education. 56(1), 1-17. Mazman, S.G., & Koçak Usluel, Y. (2010). Modeling educational usage of Facebook. Computers & Education, 55(2), 444-453. Milošević, I., Živković, D., Arsić, S., & Manasijević, D. (2015). Facebook as virtual class-room–Social networking in learning and teaching among Serbian students. Telematics and Informatics, 32(4), 576-585. Özmen, F., Aküzüm, C., & Sünkür, M. (2012). Functionality of social networks in educational settings. Education Sciences, 7(2), 496-506. Paul, J. A., Baker, H. M., & Cochran, J. D. (2012). Effect of online social networking on student academic performance. Computers in Human Behavior, 28(6), 2117-2127. Pempek, T. A., Yermolayeva, Y. A., & Calvert, S. L. (2009). College students’ social networking experiences on Facebook. Journal of Applied Developmental Psychology, 30(3), 227-238. Preece, J. (2001). Sociability and usability in online communities: Determining and measuring success. Behaviour & Information Technology. 20(5), 347-356. Rap, S., & Blonder, R. (2016). Let’s face (book) it: Analyzing interactions in social network groups for chemistry learning. Journal of Science Education and Technology, 25(1), 62-76. Richardson, W. (2009). Blogs, Wikis, Podcasts, and Other Powerful Web Tools for Classrooms. California: Corwin Press. Sánchez, R. A., Cortijo, V., & Javed, U. (2014). Students' perceptions of Facebook for academic purposes. Computers & Education, 70, 138-149. Scott, K. S., Sorokti, K. H., & Merrell, J. D. (2016). Learning “beyond the classroom” within an enterprise social network system. The Internet and Higher Education, 29, 75-90. Sezer, A., & Çoban, O. (2016). Ortaokul öğrencilerinin sorumluluk değeri algıları. Uşak Üniversitesi Eğitim Araştırmaları Dergisi, 2(1). Stevenson, M., & Liu, M. (2010). Learning a language with web 2.0: Exploring the use of social networking features of foreign language learning websites. CALICO Online. 27(2), 233-259. Strauss, A. L, & Corbin, J. (1990). Basics of Qualitative Research: Grounded Theory Procedures and Techniques. Newbury Park, CA: Sage. Tiryakioğlu, F., & Erzurum, F. (2011). Bir eğitim aracı olarak ağların kullanımı. 2nd International Conference on New Trends in Education and Their Implications (s. 1031-1047). Antalya: Siyasal Kitabevi. Tu, C. H. (2000). On-line learning migration: From social learning theory to social precence theory in CMC environment. Journal of Network and Computer Applications , (23), 27-37. Turan, Z., & Göktaş, Y. (2011). Çevrimiçi sosyal ağlar: Öğrenciler neden facebook kullanmıyor? 5th International Computer & Instructional Technologies Symposium. Elazığ. Vygotsky, L. S. (1994). Extracts from Thought and Language and Mind in Society. In M. Gauvain, & M. Cole (Ed.). Readings on the Development of Children (pp. 29-36) New York: W. H. Freeman and Company. Vygotsky, L. S. (1997). Interaction between Learning and Development. In B. Stierer, & J. Maybin (Ed.). Language, Literacy and Learning in Educational Practice (pp. 45-58) Clevedon: Multilingual Matters Ltd.
Yeh, Y. (2010). Analyzing online behaviors, roles, and learning communities via online discussions. Educational Technology & Society, 13(1), 140-151. Yıldırım, A., & Şimşek, H. (2013). Sosyal Bilimlerde Nitel Araştırma Yöntemleri. Ankara: Seçkin Yayıncılık. Yılmaz, F., & Demir, S. (2016). The validity and reliability study of revised school climate teacher survey’s Turkish version. International Journal of Assessment Tools in Education (IJATE), 3(1). Yu, A. Y., Tian, S. W., Vogel, D., & Kwok, R. C. W. (2010). Can learning be virtually boosted? An investigation of online social networking impacts. Computers & Education, 55(4), 1494-1503. Zaidieh, A. J. (2012). The use of social networking in education: Challenges and opportunities. World of Computer Science and Information Technology Journal , 2 (1), 18-21. ISNAD ALKAN, Muhammet Fatih , BARDAKCI, Salih . "Ortaöğretim Öğrencilerinin Sosyal Ağlardan Öğrenme Biçimleri: Nitel Bir İnceleme". Kastamonu Eğitim Dergisi 25 / 3 (May 2017): 1221-1238.